We address the entire spectrum of Finite Element Analysis (FEA), from model development to analysis to results interpretation and presentation. Experience with the use of major commercial FEA programs. The following is a small sample of the finite element analysis projects we have performed within the past few years. 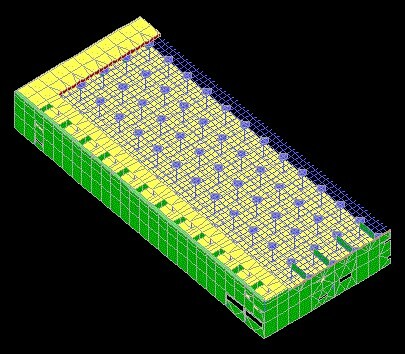 With the use of FEA and empirical data, we designed a multi-story semiconductor facility that meets the 125 µ-in/sec design criteria. 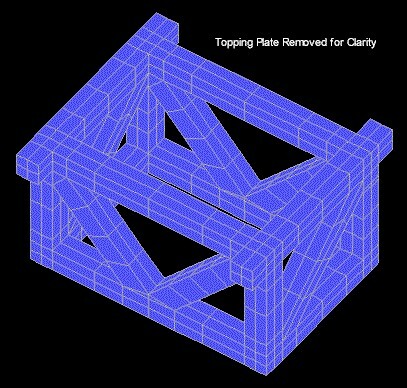 Animation of the fundamental horizontal mode of the FAB. FEA was used successfully to design a steel pedestal that replaces an existing one which fails the stringent criteria of a vibration-sensitive tool. 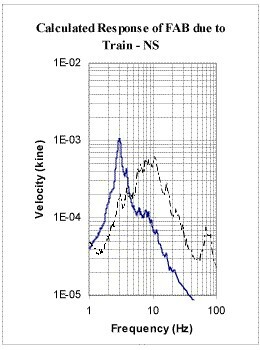 FEA was used to calculate the response of an existing FAB due to train vibration with results that match measured data.